In 1960, Nigeria’s gross domestic product (GDP) was $4.2billion while that of South Korea was $4billion. By 2016, Nigeria’s GDP had grown about 100 times to $402billion but that of South Korea had grown some 350 times to $1.4trillion. According to rating agency Fitch, the sovereign credit rating for South Korea is AA- (considered a ‘high-grade investment’ category) while Nigeria’s rating is B+ (four notches below investment grade, in the ‘highly speculative’ category). The Global Competitiveness Report, published by the World Economic Forum, suggests that Nigeria is challenged by inadequate infrastructure, corruption, poor access to financing, political instability and inefficient government bureaucracy, among other things. Greater investment in infrastructure, preferably by the private sector; greater effort to prevent corruption, preferably by strengthening business and public integrity; the consequent attractiveness of Nigeria to international capital (e.g. via private equity firms); smoother political transitions continuing in 2019 and beyond (preferably with governments having a higher ratio of professionals to politicians than the country has had); and a reduction in government red tape, e.g. by further improving on its ease of doing business rankings, could possibly place Nigeria on the road to closing some of the gap between it and South Korea – its erstwhile comrade. According to Nigeria’s Infrastructure Concession Regulatory Commission, the country’s infrastructure financing gap amounts to $100billion over the next six years or about $10billion annually, which a number of experts believe should come from the private sector. Sadly, according to a 2016 report by PwC Nigeria, ‘Countries with higher corruption are associated with lower investment… Corruption threatens property rights, discouraging investment that requires high capital expenditure as businesses are unwilling to place high capital at risk”. The report goes further to suggest that if Nigeria were to lower its corruption levels to those found in Malaysia, by 2030, the country could add another $534billion to its GDP. The country has recently moved up 24 points on the World Bank’s ‘ease of doing business rankings’ and is putting great effort into reducing government red tape. Within Nigeria itself, perceptions of corruption limit access of businesses to finance, markets and know-how. In work done by the UN Global Compact Local Network in Nigeria in collaboration with the Nigeria Economic Summit Group and the Convention on Business Integrity, it was discovered that to overcome the damage done by the perceptions of corruption, it was necessary to demonstrate a clear governance and controls framework and quality of regulatory compliance in addition to business proposition to stand a chance of attracting any form of financing. In frontier markets, such as Nigeria, the link between business success, business sustainability and ethical conduct is not always understood by businesses who have to compete in less than ideal conditions – regularly fighting to fend off crooked staff of some regulatory agencies, fighting to get a shot at business opportunities when some others already have and use their undue advantage, fighting to turn a healthy profit despite having to supplant government in its role of providing basic public goods and services, such as in meeting the energy needs of the business – 5.17 million Nigerian households and businesses run on generating sets and spend about $21.9billion annually on fuel to run these generators. It then appears something of a hard sell in such contexts to say that the first priority of business should not be survival by any means necessary. Business integrity is the strict adherence to a moral code (an ethical, accountable system for making decisions, carrying out actions and other interventions) through which business discharges its commitments and obligations to each of its stakeholders, reflected in levels of transparency, honesty and corporate harmony. Integrity is increasingly one of the most sought-after qualities not only of individual employees, but also of companies globally. However, as suggested above, this cannot be divorced from the prevailing levels of ethical conduct in the context of where business operates. The Corporate Governance Rating System (CGRS) is an attempt by the Nigeria Stock Exchange at triggering business transformation. Business transformation suggests a total departure from the prevailing negative order to a new, positive order with deliberate effort over a medium to long term to yield visible, positive outcomes – it is the attempt to create market-wide change involving significant alteration, over time, in behaviour patterns, business cultural values and norms. 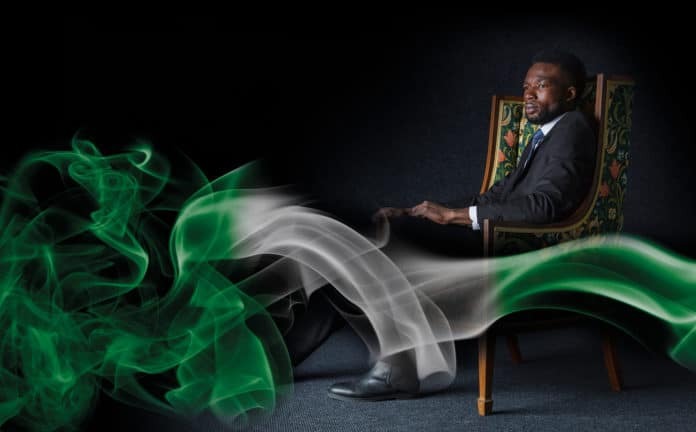 The CGRS incentivises listed companies in Nigeria to choose the paths of integrity over ‘survival mode’ using the behavioural insight of relative ranking that ‘we are influenced by how our performance compares with others’, especially those with similar characteristics as ourselves”. It uses a rating system (based on that designed originally by CBI for use by its signatories) to gather compliance information and, by linking it to instruments of the stock exchange, such as the new Premium Board and Corporate Governance Index, it promises a direct connection between quality of board decisions and the fortunes of the listed company, thereby working towards a mechanism for behaviour modification. These areas are tested in several ways – via an independently verified self-assessment made by the companies; fiduciary awareness testing of directors across those dimensions; feedback of stakeholders taken at random across the five themes; and the blind construction of scores for a company across these dimensions by a group of analysts working from a blank sheet of paper, based on what they know of the actual market behaviour of a company under review. Details of the methodology and how it is applied are available at www.cgrsng.com. The Premium Board is the listing segment for the elite group of issuers that meet the Exchange’s most stringent corporate governance and li​sting standards. The Board is a platform for showcasing companies who are industry leaders in their sectors. 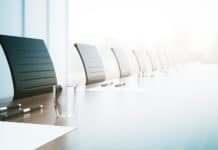 The Premium Board features companies that adhere to international best practices on corporate governance and meet the Exchange’s high​est standards of capitalisation and liquidity. The CGRS was launched in November 2014 after a successful pilot with a handful of companies. By 2015, three criteria for listing on the Premium Board were approved by the Nigerian Securities & Exchange Commission to include the CGRS score for the applicant. In 2016, the CGRS was made mandatory for all other listed companies by the Nigeria Stock Exchange and they got rated as a big batch through 2017. So far, of 155 equities eligible to participate, 117 started the process but only 66 had completed the process by first cut-off for compiling ratings. Forty of these made the mark and 35 have had their ratings confirmed while another 77 are still in various stages of the process and 38 are yet to start. Of 1,443 directors of listed companies, 505 have taken the fiduciary awareness training and 435 have been certified. The ratings round has now been reopened in 2018 against which the Corporate Governance Index will next be rebalanced. Strengthening the CGRS The immediate outlook is to improve public access to declarations made by companies and increase the transparency of the ratings by ensuring that the public can follow the processes to see how a company was awarded what rating. We are also putting together an ISO-certifiable process to ensure the ratings process can be replicated, not only by a successor entity to the CBi in case of any unforeseen eventualities, but also in order to share a standard that could be replicated across Africa. Deepening the influence of CGRS in the private sector According to studies by the International Finance Corporation, 96 per cent of Nigerian businesses are SMEs compared to about 53 per cent in the US or 65 per cent in Europe. This is a population of roughly 17.4 million entities. 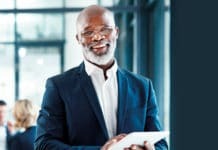 As an independent facilitator of collective action against corruption for SMEs, appointed by the Nigeria local network of the UN Global Compact, the Convention on Business Integrity has developed a self-assessment guide and tool for SMEs, based on the 2013 COSO Framework for Internal Controls., This was launched March 2018. It promises to help SMEs (who do not yet see the need to be constrained by business integrity principles, nor fully see its value) gain better perspective through its instrumentality to their accessing finance (as most banks are participating in the CGRS and have come to value the work done by CBi and will thus trust this initiative). And it should help multinationals, too, to reduce exposure to corruption risks from the SMEs in their supply chains. Framed as an anti-corruption effort, there was little interest, but framed as a set of tools to help SMEs gain access to the finance they desperately seek, we are seeing keen interest. According to the Behavioural Insights Team, ‘we react differently to the same information, depending on how it is framed’. We are also taking the power of ratings a little further by applying it against the standard operating procedures and compliance at government agencies at sea and air ports in Nigeria. It is a way of increasing levels of transparency and stimulating public demand for accountability of those institutions. A group of professionals are also now studying how to apply such ratings to their practices in order to signal more ethical ways to do business successfully in a frontier market, such as Nigeria. Nigeria is desperately in need of major financial investments and the bulk of this needs to be raised through its capital market. 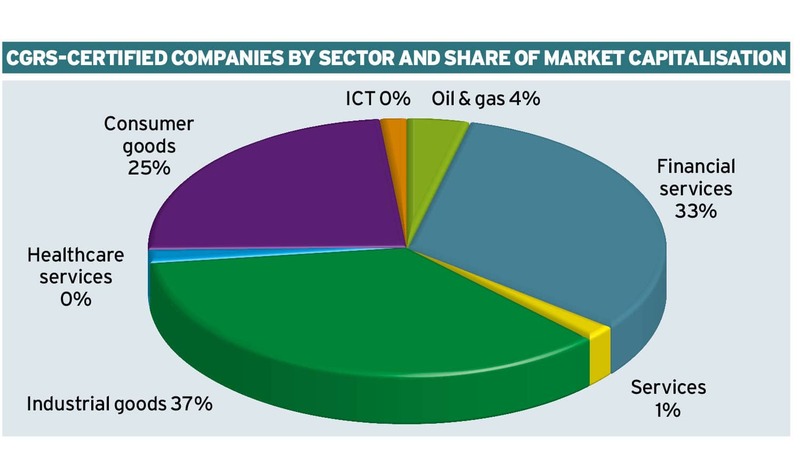 Capital market reforms in Nigeria are growing and the CGRS is one of them. The achievement of CGRS has enabled the establishment of a Premium Board of the Nigeria Stock Exchange and a tradable corporate governance index. The CGRS is probably the first of its type across most geographies of the world and certainly in Africa. It is a standard worth emulating and replicating and 85 per cent of the Nigeria capital market by value is now participating in the process. 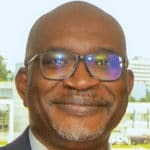 Soji Apampa is the CEO of the Convention on Business Integrity (CBI), an organization set up to influence the behavior of systems & institutions towards minimizing risk of deviance from acceptable benchmarks, through the wide publication of ratings and rankings performed on such entities, enabling more transparent, consistent and predictable transactions that people observe, affect and benefit from. CBI hopes for a Nigerian society where people prefer integrity over corruption. Previous articleHow compliant are small businesses?